Req load got you down? Feeling overwhelmed? Many recruiters are facing requirements that force them to turn on a dime and change directions with little to no notice. Talent acquisition professionals worldwide are finding themselves in situations where–at best they’re treading water, and at worst they’re swimming upstream against a relentless and unforgiving current. Mike Rasmussen, senior talent acquisition business partner with ADP, has the solution. Join him for a free, interactive webinar on Thursday, March 7 as he shares his framework for creating proactive recruiting strategies. His presentation will cover tested and proven approaches he has employed on the front line at ADP. He will discuss how to leverage personas to build your team’s messaging approach, how to utilize competitive intelligence to hone outreach to passive candidates, and how to implement engagement strategies that will captivate your ideal candidates. Mike will show your team how to analyze benchmarks, how to approach geographical data for sourcing, and how to use source of hire to build momentum in key areas. Who Should Attend: Recruiters and recruiting leaders who are desperate for stronger talent pipelines and are ready to be more proactive and less reactive in their daily strategies. Mike Rasmussen is a Sr. Talent Acquisition Business Partner with ADP, and a seasoned HR Veteran. Mike is passionate about the Human Capital Management Space, and works currently for the largest HCM Provider in the World - ADP where he has been for 6 years. In Mike's Staffing tenure he has been instrumental in 1500+ Placements which includes both Sourcing and Full Cycle Staffing projects with both Staffing Agency and Internal Corporate environments. 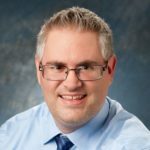 Mike's Career spans 14 Years and includes industry experience in High Tech, The Defense Industry, Network Storage, Software, Pharma, Bio-Tech, Start-ups, Public Sector, Retail, Operations, HR, Legal, Professional Services, Consulting Services, and many more. Mike has both domestic US, and International HR experience. A contributor to RecruitingBlogs, and SourceCon - ERE.net - Mike's staffing articles have been featured in several industry publications. Mike has a personal approach to staffing, combining a professional personal touch, with a client service focused white glove VIP experience to every interaction. Jobvite is the leading recruiting software company that helps emerging, mid-market, and enterprise companies hire top talent easily, efficiently, and effectively. Our comprehensive and analytics-driven recruiting platform accelerates recruiting with a Candidate Recruitment Marketing (CRM) tool, an easy-to-use Applicant Tracking System (ATS), social recruiting capabilities, mobile-optimized branded career sites, a recruiting branding solution, on-demand video screening, advanced analytics, onboarding, and seamless integration with other HR systems. Focused exclusively on recruiting software since 2006 and headquartered in San Mateo, Jobvite has thousands of customers including LinkedIn, Schneider Electric, Zappos, and Blizzard Entertainment. To learn more and request a free demo, visit www.jobvite.com or follow us @Jobvite.